Thailand is a place of incredible beauty, a feast for the senses, and somewhere you can get a sense of perspective for your own life. As with all destinations, of course, there are a lot of places that are full of tourists and overpriced attractions, which makes it difficult to enjoy oneself… If you’re looking for a hidden gem off the beaten track, here are 5 underrated destinations in Thailand. This tranquil haven is well worth the five-hour bus journey from Bangkok. Those who brave it will be treated to incredible waterfalls, national parks and the breathtaking Wat Pha Sorn Kaew, or ‘temple on a high glass cliff’. Explore lakes and mountains, while taking in stunning views, as this is a really beautiful part of Thailand that deserves to be seen and enjoyed. Don’t miss out on trying tamarind here, as the region is celebrated for its production. This beautiful holiday resort is popular with the locals, so you know you’re going somewhere pretty special. Originally a fishing village, the resort became the ‘place to be’ for Siam’s upper-class and nobility, and even has an official royal residence. It’s a perfect spot for a lazy day on the beach, or more active souls can explore caves and waterfalls, enjoy local markets and go temple-hopping nearby. If you’re a keen climber, you might be tempted to head to places like Koh Phi Phi and Railay peninsula, both famous for rock climbing. However, Koh Lao Liang has all the appeal, the stunning scenery, and amazing red, white and blue vertical limestone, without the crowds. The only place you can stay while on the island is at a tented camp with limited guests. It’s right on the beach, where you’ll enjoy evening seafood barbeques, snorkeling and sea kayaking. A big focus is on preserving the local environment, making it a nature lover’s dream. Head to the very northern tip of Thailand and you’ll be one of the lucky ones to discover Chiang Rai. If you are looking to explore beautiful, ancient temples, then look no further than Wat Rong Khun. Also, be sure to stop at Khun Korn to see the stunning waterfall, take a stroll around the Saturday street fairs, or head to the north of the city for adrenaline-boosting rock climbing. This stunning little island is relatively untouched by mass tourism and, as such, a wonderful place for a romantic getaway. You’ll still find events such as full moon parties, but on a much more laid back scale. Dive and explore coral reefs and marine life, jump on a scooter to discover a variety of beaches or just sit back and watch the fiery sunset. You’ll feel as though you’ve found a small piece of Thai heaven, for a truly peaceful holiday. There are so many incredible places to explore, perhaps it’s time to take out your annual trip insurance, book a flight and be on your way to discover the most underrated destinations in Thailand. If you know of any other underrated destinations that are ‘must sees’ for travelers, let us know in the comments below. This article is written by a guest author. 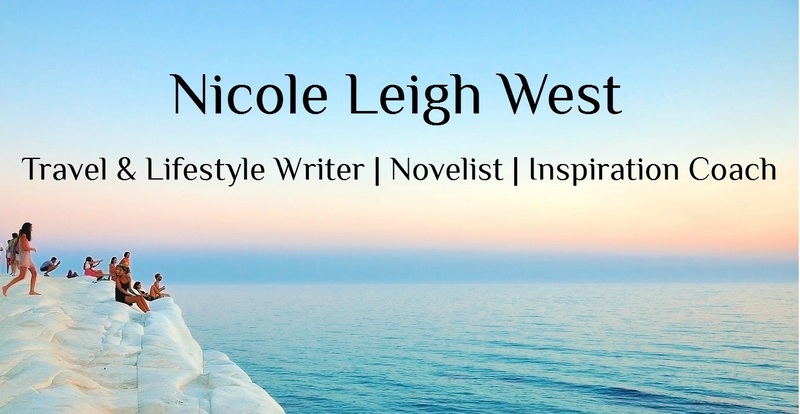 To contribute to the Travel & Inspiration blog, please contact Nicole Leigh West.